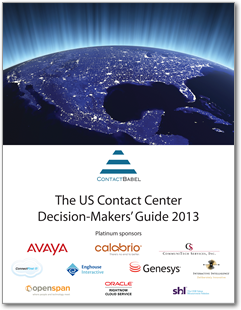 Gain access to the most comprehensive study of the call center industry. Get your hands on the full report! This annual report studies the performance, operations, technology and HR aspects of US contact center operations. It identifies six of the major pain points that affect the industry and contains a directory of organizations that provide services, products and solutions to contact centers.